"He (Archrekar Sir) is no more with us. He passed away this evening," his kin Rashmi Dalvi told PTI over phone. Achrekar competed in just one first-class match in his playing career but discovered and shaped the biggest batsman in international cricket after Sir Donald Bradman in Tendulkar. 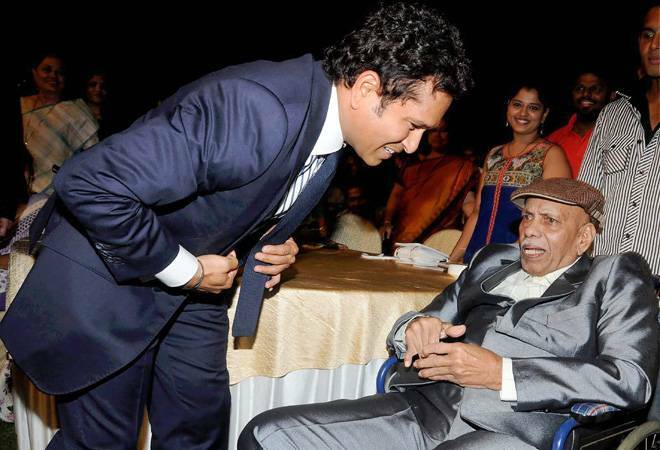 "Sir did not say well-played to me ever, (but) I knew (when) Sir has taken me to have bhelpuri or paani-puri, Sir is happy, I have done something nice on the field," Tendulkar had said last year at an event while recalling Achrekar's contribution in making him the cricketer he became.